Long and silent are the streets, stairs, walkways, tire tracks, and trampled paths that wind their way through the snow-covered, large-scale housing development of Marzahn. 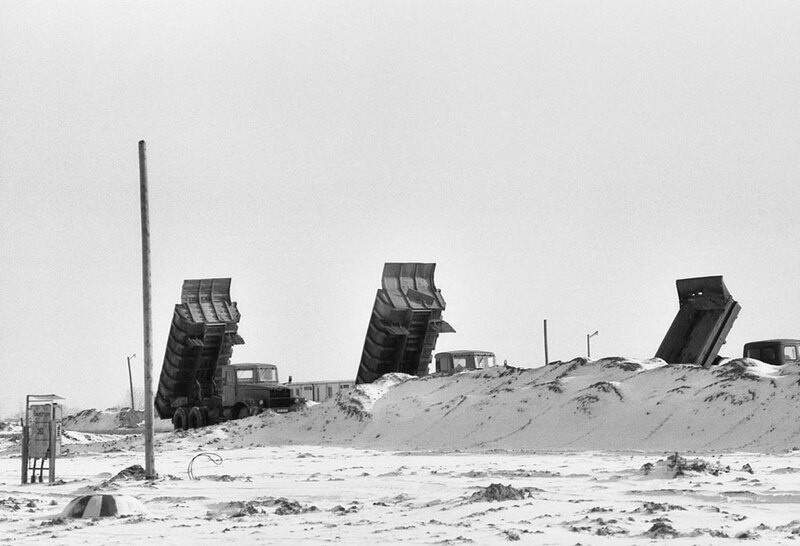 Like monoliths, the residential high-rises in the photographs of East Berlin artist Roger Melis, taken in 1983, tower over the barren winter landscape and snow-filled excavation pits of the “new city” still under construction. Built from 1976–1990 as a response to the housing demand in northeast Berlin, the complex, one of the largest construction projects in the GDR, created housing space for approximately 165,000 inhabitants. In the beginning, not all areas featured paved walkways and street lighting. And a tramway to replace the crowded buses, so that people could get to pubs, restaurants, and more varied shopping facilities or playgrounds, was only gradually constructed over time upon the urging of Marzahn residents. 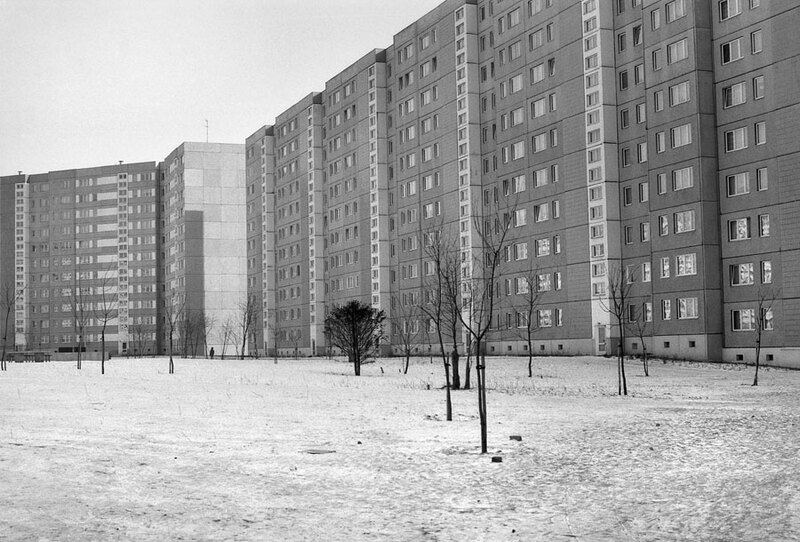 The reduction to the function of housing, which did not provide places for social encounters and leisure time, earned the development names like “sleepy town” or “worker storage lockers.” For many, the prefabricated high-rises represented a society in which work was carried out during the day and “the work force was reproduced” at night—Marzahn was one of the most child populous areas in the GDR. The modular construction methods of assembling prefabricated elements on site into larger structures come across in Melis’s photographs like a sculptural equivalent of societal appendages that are inserted at this location into a structural grid of the GDR system. The interest in places and the theme of work is reflected in Melis’s travelogues and articles commissioned by East and West German media such as Sibylle, Neue Berliner Illustrierte, Wochenpost, Merian, Die Zeit, or Geo as well as in his personal, artistic “photographs for the file drawer,” which also include the 35mm images of Marzahn. Nonetheless, this series represents an unusual, unique case for his work. Typically his images evince a particular connection to people, recalling at times the street photography of earlier artists such as Brassaï or Henri Cartier-Bresson, as well as August Sander’s photographs of workers, but which must be viewed specifically within the context of his time in the GDR and Berlin. He also achieved great renown in East and West Germany for his portraits of authors and artists such as Anna Seghers, Christa Wolf, Heiner Müller, or Wolf Biermann. In 1969, he co-founded the group Direkt with photographers such as Sibylle Bergemann, Arno Fischer, Brigitte Voigt, and Michael Weidt. Its name referred to the fact that in most of the artists’ images people looked directly into the camera. 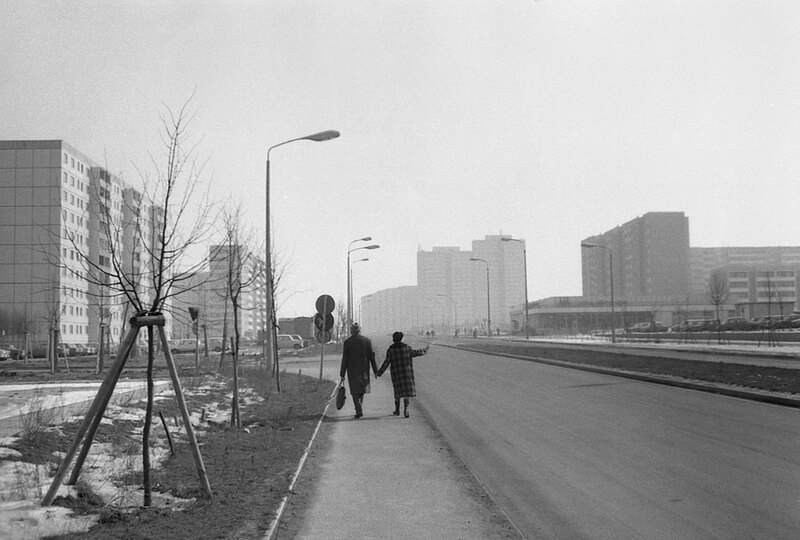 In the case of the Marzahn photographs, however, the relationships of scale are reversed: the figures of the scarce people, turned into fuzzy silhouettes, are surrounded by the imposing buildings, grids, lines, and surfaces of the given infrastructure that serves as the focus of the graphic, black and white images. Yet the photographs, albeit more abstract, demonstrate a special interest in the particular habits and inclinations of residents. 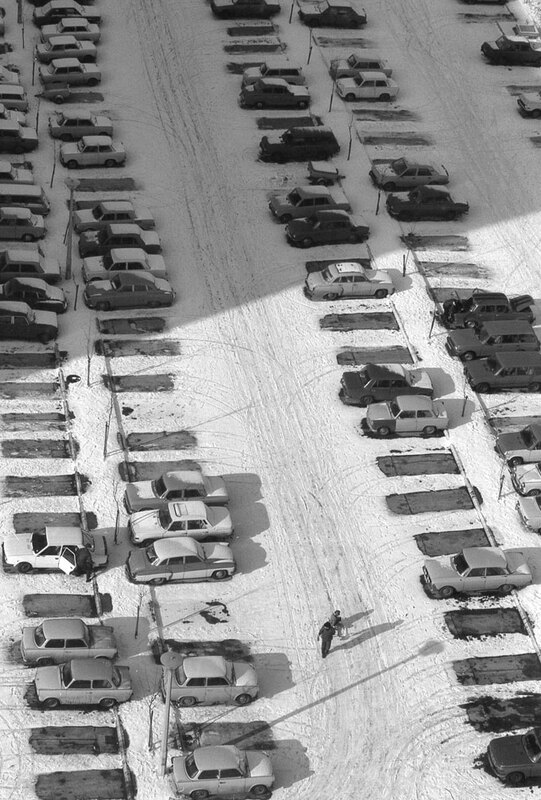 The soft snow draws an organic system of pathways like a second layer onto the landscape: ice skates, cars, baby carriages, and footsteps leave traces of an impression—at times diffuse, at times configured into long pathways and patterns—of the inhabitants absent in the image. 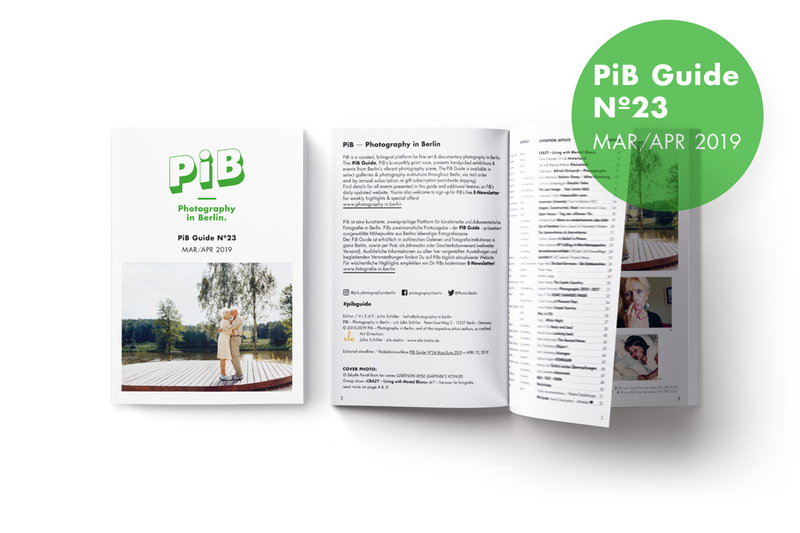 Thus, the series reads less like classic architectural photography than it does as an abstract, conceptual portrait of society in which the emerging architecture symbolizes the developing state and its ambivalent relationship between the system and the individual. 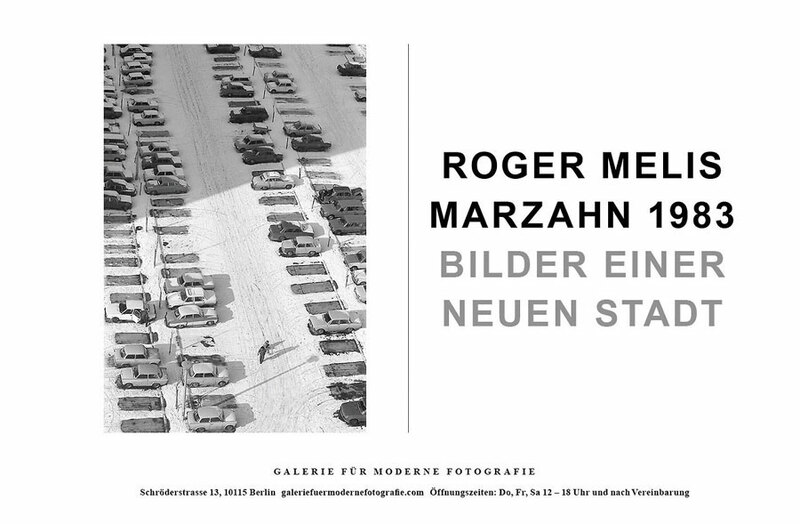 The Galerie für Moderne Fotografie is pleased to present for the first time an exhibition of selected images from the Marzahn 1983. 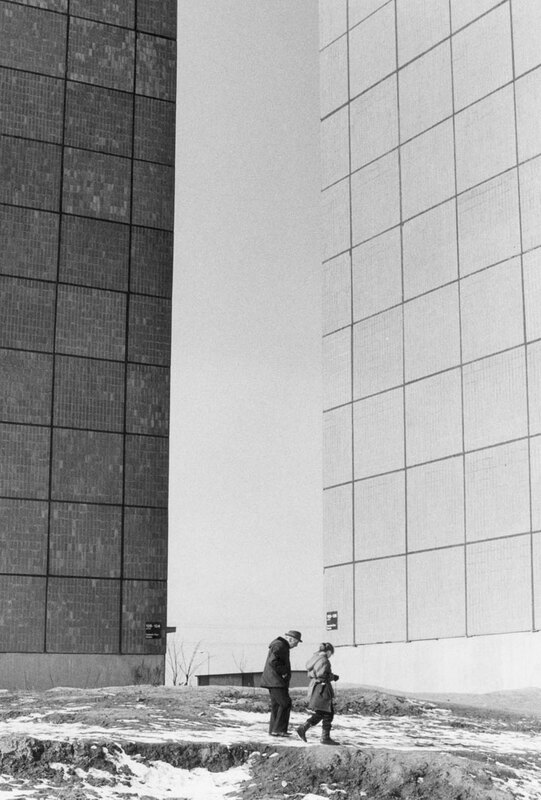 Bilder einer neuen Stadt (Images of a New City) series by Roger Melis. Hand titled as such by the artist himself, the series has never before been published or exhibited to this extent, with the exception of a single photograph that was reprinted in his self-compiled publication In einem stillen Land (In a Quiet Country).